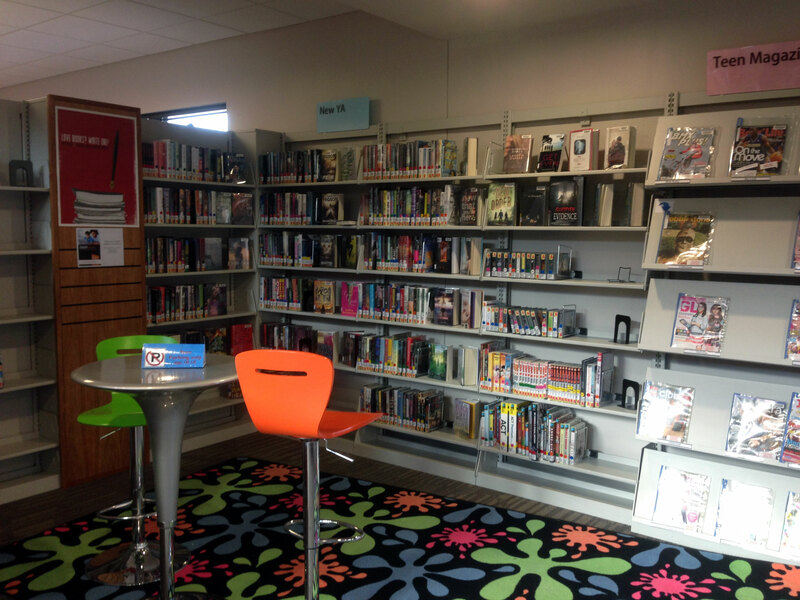 Located behind the DVD case in our main foyer, the Young Adult Collections house some of our most popular items. Here you will find a variety of titles written with a teen audience in mind. Some of our most popular titles can be found here, including dystopian novels, fairy tale adaptations, and some of the biggest book-to-screen adaptations. These are non-fiction books specifically written for teenagers encompassing many topics, such as art, history, growing up, and ACT prep. The Young Adult graphic novels, denoted by the letters “YAG” on the spine label, are on the shelves on the back side of the DVD drawers. Here you will find popular manga and superhero titles, among others. Here you will find audiobook adaptations of YA titles on CD and cassette. On the wall left of the window in the Young Adult area of the library, you will find our selection of magazines for teens.